"Tiki Tourer" is owned by Jude Morgan & Tui Hohaia from Kinross Western Australia. 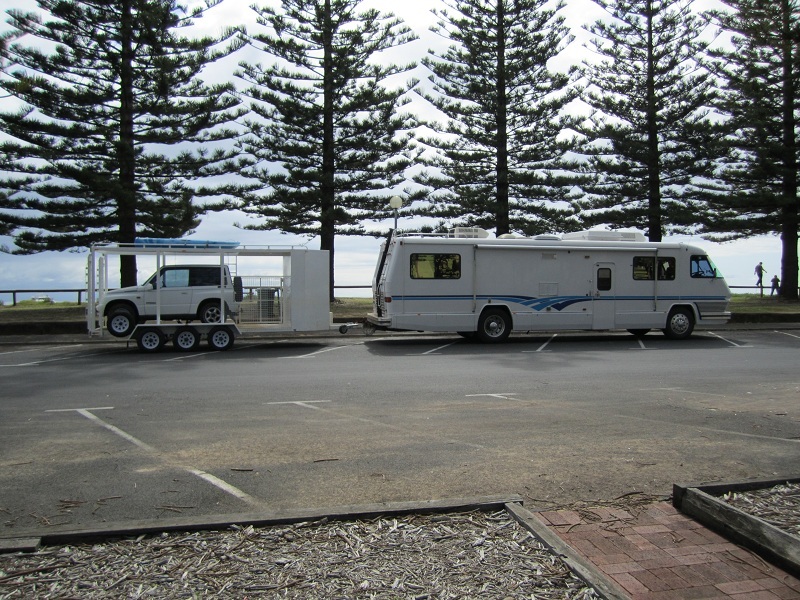 Our Motorhome is a 1986 American Foretravel, converted to right hand drive in Victoria. It has a CAT 3208 diesel Motor with Alison Automatic transmission. Grey & Black Holding Tanks, Fresh Water Tank, on board Generator. Two air conditioners and Gas heating. We were very impressed at the condition of both the interior and exterior of the Motorhome considering the age of the vehicle. Extremely comfortable Captain’s Chairs provide ache free traveling even on a long day of driving. It is equipped with full kitchen facilities, Gas oven, gas hot plate, microwave, full fridge, icemaker, vitamiser. The bathroom is really spacious with the toilet separate to the shower area. Full size wardrobe and island Queen Bed. The Lounge folds down to a double bed so enough room if required to sleep an extra couple. 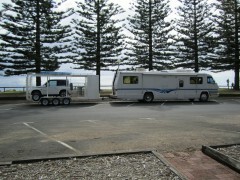 We tow a trailer behind our Motorhome so we are 18.5m in total. This has been purposely built to our specific requirements. Large front cupboard for tools etc, side ramp to load the trail bike, back ramps for the Suzuki 4X4, mesh roof to house the kayaks and aluminum dingy (yet to be purchased). Tiki Tourer has 3 x 120watt Solar Panels. Batteries 3 x Northstar 12v 110 amp hour batteries plus 1 x wet cell Truck start battery, hooked up to a Smart Charger. Also stand alone start up battery. Plus we have 1 x 180watt Solar panel on the trailer for extra Fridge or power tools which is stand alone and has 2 x 100amp hour batteries. Fridge is run on battery whilst driving and when stationery runs on Gas. Stove & Hot Water are powered by Gas. We have been traveling now for 14 months. Tui- I have been self employed for over 14 years as a Garage Door Installer, renovated 3 houses and hold all heavy truck licenses. I enjoy building and developing new ideas for the Motorhome and can turn my hand to most repair jobs. My passion is Trail Bike riding and our trailer has been specifically designed to accommodate my Trail Bike. I too am working from time to time whilst traveling. To date Tractor driving, shed building and Garage Door installations. 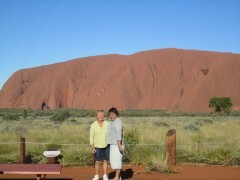 We were both born in New Zealand and moved to Australia in 2001 for a years working holiday and just didn’t go back. 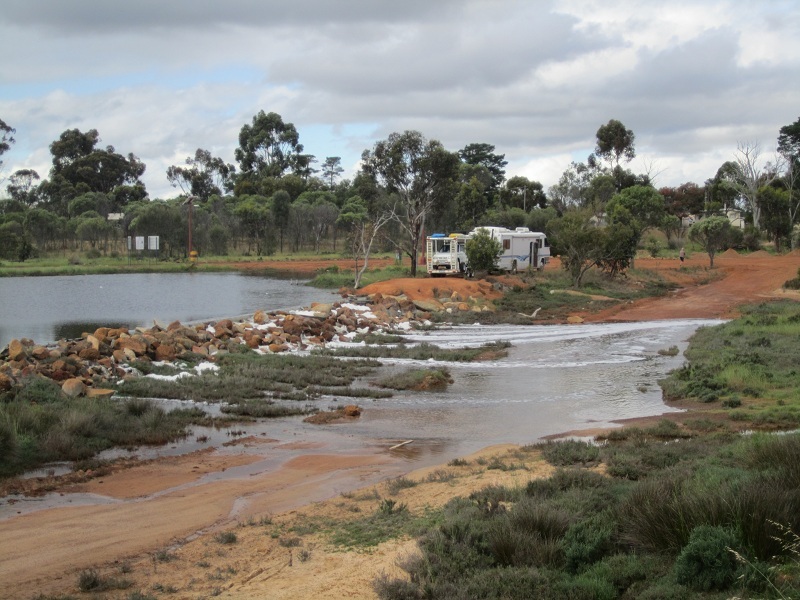 We had travelled to the Eastern States of Australia a few times but this was our first to Western Australia. It is really difficult to choose a favourite camp as there are so many beautiful places, however we both loved Cleaverville Beach and Uluru (Ayres Rock) was magical.